Take a guided tour through the most picturesque locations in Colorado Springs. After pickup at your hotel, you will head south to the Garden of the Gods, you will stop for lunch (is not included) at the beautiful town of Manitou Springs. After that, you will climb 14115 feet to Pikes Peak Summit. This private Pikes Peak tour is a great way to explore what the beautiful state of Colorado has to offer. 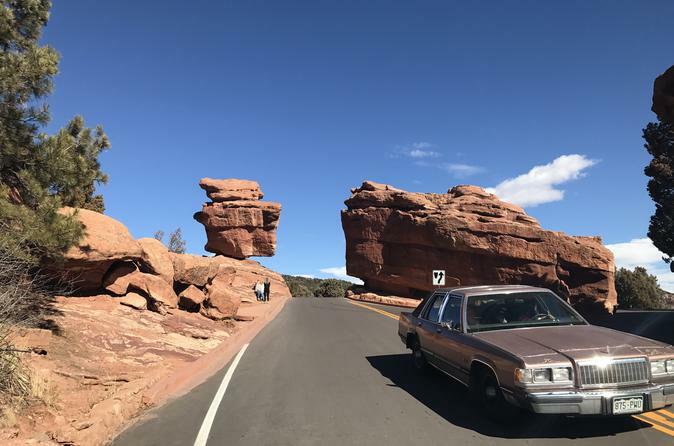 You will experience some of the most breath taking views in Colorado, walk through the historic Manitou Springs, and have the opportunity to visit the magical Garden of The Gods. After pickup at your hotel, you begin by traveling south from Denver toward Colorado Springs. The first leg of the journey takes us to a magical stop, Garden of the Gods, This geological heaven will amaze you, considered the best park in the country and the 3rd best park in the world by TripAdvisor traveler's choice list 2013. The next stop is Pikes Peak. Pikes Peak is the highest summit of the southern front range of the Rocky mountains. standing 14,115 feet is the most prominent 'fourteener' of the 53. The mountain was named in honor of the American explorer Zebulon Pike who was never able to reach the summit but you will. Upon returning back to earth, you will have time to visit the historic town of Manitou Springs. Manitou Springs, also called "Saratoga of the West", was established as a resort community, known for its mineral springs and "spectacular setting" at the edge of the Pikes Peak. This unique little town is filled with gift shops, galleries, and restaurants if you care to stop for a bite (Manitou even homes its own brewery). Lastly, we will take a scenic drive along the foothills of the Rockies, through the beautiful town of Sedalia, we will witness the sun kiss the mountains on a beautiful sunset setting.